A DUI is a “priorable” offense. This means that if you were arrested for a 2nd DUI within a 10-year period from the first offense, then you are facing penalty enhancements which include jail time, higher fines, longer alcohol classes, alcohol monitoring, AA meetings, etc. For example, a second DUI in Los Angeles County within a 10-year period has a mandatory minimum jail time of 96 hours up to 365 days in county jail, 48-months of summary probation, an 18-30 month alcohol class, $500 fine plus penalty assessments, community labor, community service, HAM program, VIP, MADD, etc. In addition, the court conviction triggers a two-year court suspension. The court will allow for a restricted license and will typically leave it up to the DMV to carry out the suspension. DMV will notify you of the beginning of your suspension. On the other hand, the DMV will suspend your license for one year, with an eligibility for a restricted license AFTER a 90-day hard suspension, along with installation of an IID in your vehicle, proof of enrollment in the alcohol class, filing an SR-22 after a 90-day hard suspension, and a license re-issue fee. Other counties like Ventura, San Bernardino, Orange, Riverside, etc. may have harsher penalties than Los Angeles County. Ms. Pascher has appeared and represented clients throughout Southern California, included but not limited to Los Angeles, Ventura, Santa Barbara, San Diego, Riverside, San Bernardino, and Orange. Please note that even if your first DUI was reduced to a “wet” reckless, a subsequent arrest for driving under the influence will be considered a second DUI. A “wet” reckless conviction is a reckless driving charge with alcohol involved. Therefore, your first conviction will be treated as a prior DUI. 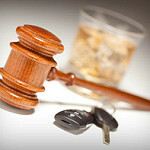 It is very important that you speak with an experienced attorney if you have been charged with a second DUI. You can call me for a free consultation at (818) 926-4465.